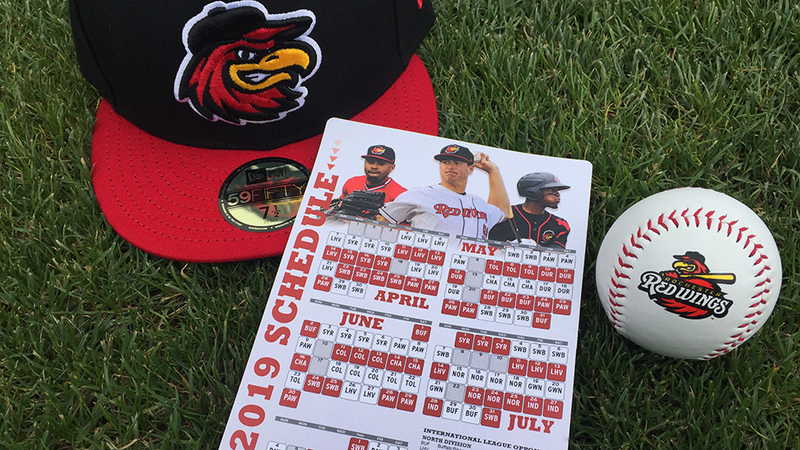 The Rochester Red Wings have announced their 2019 schedule. Rochester begins the 140-game season with seven on the road at Lehigh Valley (April 4-7) and Syracuse (April 8-10) before the Home Opener on Thursday, April 11 vs. the IronPigs. The first homestand of the season consists of six games with the IronPigs and Chiefs before the first off day on April 18. The Red Wings play Lehigh Valley or Syracuse the first 17 games of the year and play within the division the first 31 games through May 5. Rochester completes the campaign with a four-game series with Syracuse from August 30-September 2. The Wings will be on the road on July 4 for the first time since 2003 and will instead be home on July 3 vs. the Chiefs. The All-Star Break will go from July 8-10 with the festivities taking place in El Paso, TX. The Red Wings are home on Mother's Day (May 12), Memorial Day (May 27), Father's Day (June 16) and Labor Day (September 2). A whopping 47% (33 of 70) of the Wings home games fall on a weekend date (Friday, Saturday or Sunday). The home schedule against division opponents features three series with Buffalo (May 21-23; May 31-June 2; August 19-22), two with Lehigh Valley (April 11-14; July 11-14), three with Pawtucket (April 26-28; May 24-27; June 28-30), three with Scranton/Wilkes-Barre (April 22-25; June 24-25; July 31-August 1) and three with Syracuse (April 15-17; July 1-3; August 30-September 2). All game times for the 2019 season will be announced at a later date.